When converting your Elise S1 from RHD to LHD, this is one of the parts you'd need. This is the hose running from one of the small heater coolant pipes to the heater matrix. 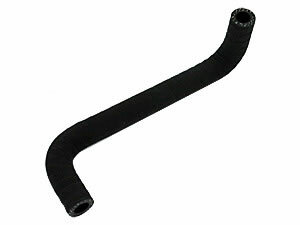 These hoses are built according to the SAEJ20R4 Class D-2 standard, which means they provide very high strength and high resistance agains oil, ozone, UV, road dirt and off course coolant. The operating range for these hoses is -40 to 130 degrees Celius. This is a 1:1 replacement of the (rather expensive) original hose.